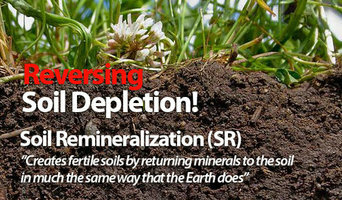 Westcan Marketing Inc. CanAmaze VRP “Soil Saver” remineralizes the soil releasing essential minerals and trace elements that plants and humans need to flourish. It is the ideal product for organic farming, conventional farming, orchards, vineyards, golf courses, indoor gardens and more. Organic Production Westcan Marketing Inc. CanAmaze VRP “Soil Saver” is listed by the Organic Materials Review Institute (OMRI) for use in organic production in accordance with the USDA National Organic Program Rules and Canadian Organic Standards. Wesroc is your one-stop-shop for your do-it-yourself landscape projects Nestled in the heart of Camrose, Alberta, Wesroc is a family-run landscape supply business sharing expertise and ideas with landscape professionals, commercial contractors and homeowners across Central Alberta and beyond. At Wesroc, you will find anything from decorative rock to concrete products, pond and waterscape supplies, garden tools, lawn ornaments and greenhouse plants to transform your backyard into an inviting extension of your home. Come and visit us today and get the job done right! For some homeowners, buying garden and landscape supplies involves an afternoon visit to a Lacombe, AB nursery for some healthy new annuals and perhaps a few new planters. Others dream of a Japanese garden complete with flowing waterfalls, a koi pond and a graceful footbridge surrounded by luscious greenery. If you’ve been dreaming of a beautifully landscaped property with a water feature or a concrete fire bowl but don’t know where to start or what landscape supplies to buy, it may be time to look into garden and landscape suppliers in your Alberta area. From retaining walls to raised garden beds, these professional vendors can make your backyard the oasis you’ve been longing for. What’s more, many of these professionals can help you take your ideas from design to installation and provide garden care and yard maintenance according to your Lacombe, AB climate. Here are some related professionals and vendors to complement the work of garden & landscape supplies: Landscape Contractors, General Contractors, Landscape Architects & Landscape Designers. What if you would love to grow your own vegetables but have site limitations? Many garden supply companies offer planters and containers that are up to 42 inches tall. For those who live in colder climates, consider a greenhouse — just the thing to enjoy starting plants or growing exotic blossoms that wouldn’t quite work in your Lacombe, AB climate. Find garden and landscape supplies on Houzz. Search the Houzz Professionals section for Lacombe, AB garden and landscape supplies. Browse photos and read reviews. 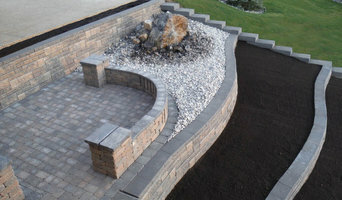 You can also explore full-service Alberta landscape architects and garden contractors.